If you ever use an Apple devices you must be an iTunes user; use it to sync, organize and manage your files on iPod, iPhone or iPad. Maybe now, however, you've turned to be an Android fans, while there's no such an application to let you manage contents on your Android. Of course, although there's no exact iTunes feature-to-feature duplicate for Android, you still can find one that can bring you an iTunes-like experience on Android. 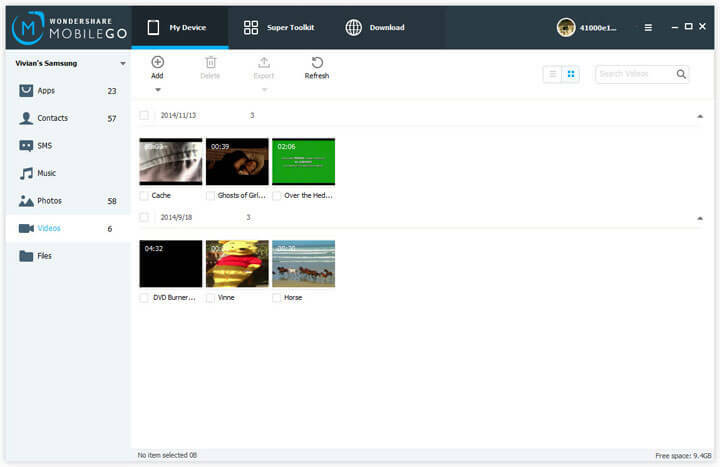 Wondershare MobileGo for Android works like iTunes for Android phones or tablets. It's an all-in-one Android manager that helps you sync, organize and manage your Android contacts, SMS, music, movies, photos and apps. If you're using a Mac, please turn to MobileGo for Android Pro Mac. 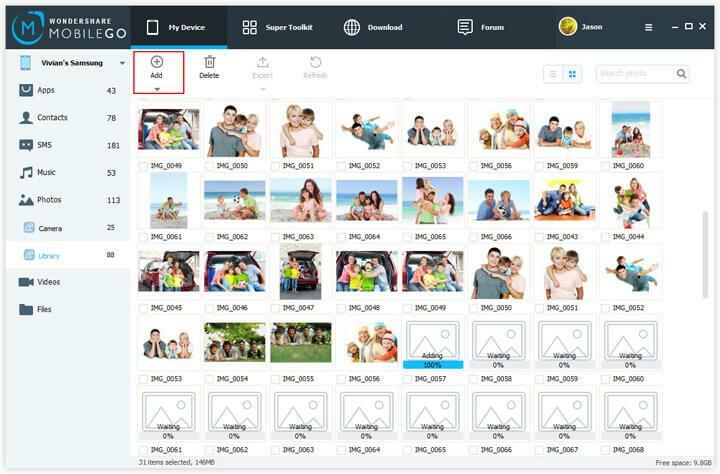 Note: The guide below uses Wondershare MobileGo for Android Windows version screenshots. MobileGo for Android Pro Mac has almost the same functions as the Windows version. Just make sure you've downloaded the right version. 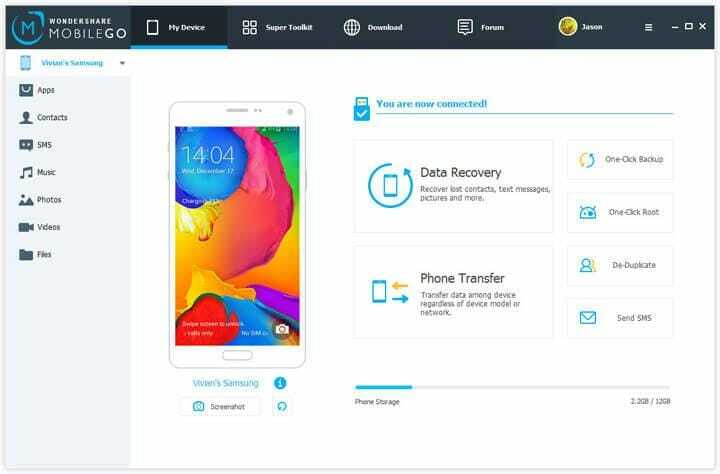 With this program, you can quickly and easily backup contacts, and transfer contacst between your Android phone and computer. Add Contact: You can create new contacts and save them to your Android phone. Import: You can import contacts from vCard, Outlook, Windows Address Book, Windows Live Mai. Sync: You can sync contacts in your accounts, like Gmail, Facebook, to your Android phone. Export: You can export contacts on your Android phone to vCard, Outlook, Windows Address Book, Windows LiveMail, back them up for restore when in need. Send Message: You can select one or more people from the contacts list to send messages from your PC. When getting a phone call, you can either answer it or hand it off and repry with a messages instead. De-duplicate: You can delete duplicate contacts by merging them in group of phone, name or email. 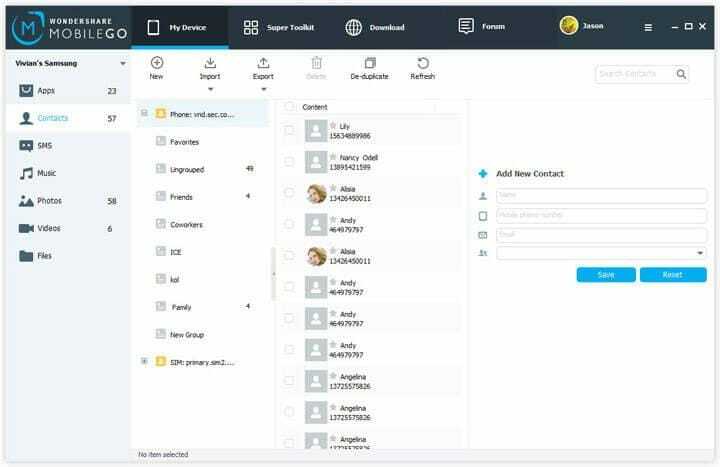 Others: You can manage your contacts by creating new groups or transferring information among the existing groups. With this Android file manager, you can backup all your SMS by exporting them to your computer. What's more, you can text new messages for replying or for sending to your friends and families, which lets you send messages effortlessly, no matter whether you're replying to a single person or sending to people in a group. 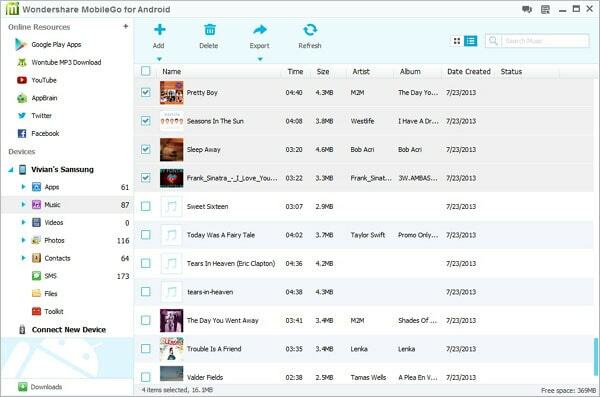 Just like iTunes on Android phone, you can sync, organize and manage your music, videos and photos easily on your Android when using this program.. 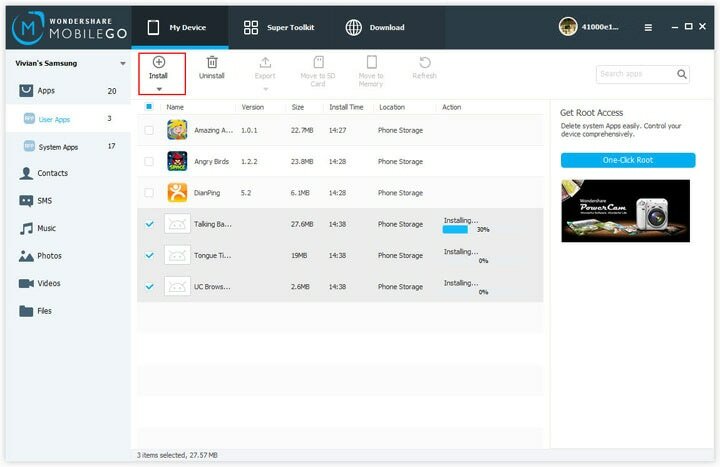 It's very convenient for you to install non market APK files to your Android from PC if you have lots of APK files stored on computer. You can directly install them on your Android phone or tablet through this iTunes for Android tablets manager. In addtion, you can export apps on your Android to your computer for backup or sharing. The best way to see whether a program is great or not is to use it. Please download and try Wondershare MobileGo for Android. It won't disappoint you.